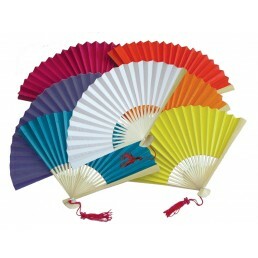 Plain paper hand fan with bold colours. Pack of six - Same colour or assorted pack. Blue, magenta..
Chinese traditional style decorative folding display fan with stand made from silky fabric and ba.. 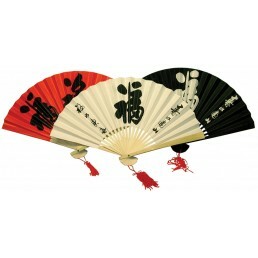 Plain paper hand fan with bold colours. 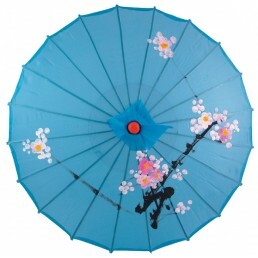 Single fan - Choice of six colours - Blue, magenta, orang..
Paper hand fan with bold good furtune 'Fu' character. 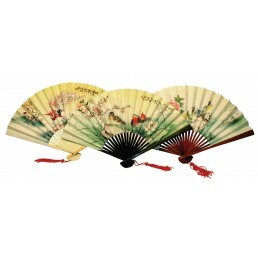 Pack of six, three of each colour: and blac..
Paper hand fan with bold good furtune 'Fu' character. 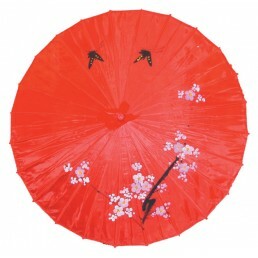 Single fan available in red or black backgr..
Assorted white paper hand fans with various coloured fretwork, decorated with scenery or birds an..
Large opaque silky parasol - 81cm diameter - Available in 9 colours ..